Are you dreaming of an MBA and the career that it will lead to? Fantastic! But first, you need to be accepted. And that’s not easy if you are applying to top business schools. You need a well-defined strategy and excellent execution of that strategy. How can you develop that strategy and execute it? Personalized MBA application consulting so that you access the individual guidance you need to apply successfully and confidently, saving you time and reducing your stress. Free resources (below) that provide general advice for the entire process. If you are a do-it-yourselfer only interested in the general advice, you’ve found a real treasure trove here. And if you’re looking for a demonstration of our expertise before engaging our consulting services, again, you’ve found it! Check out the valuable resources below. These guides, articles, podcasts, webinars, and videos provide outstanding insight into tactics and implementation so you submit an application that shines. Accepted provides sample MBA essays, writing tips, remarkable resumes, letters of recommendation and even advice for executive MBA applications. You’ll discover them all below. You’re closing in on that acceptance. But you’re not yet an MBA student. You still have questions, and we’ve still got you covered. Yes, you submitted your MBA applications, but you’re not finished. Check out the valuable advice on interview prep, waitlist advice, reapplication, funding your MBA and more below. Still need help? We've got you covered. Accepted has given you access to hundreds of resources to help you join your ideal MBA program and launch the career of your dreams. However, try as we might, there is no free resource or general information that provides quality individual advising from an MBA admissions expert. Given the time and expense of applying and the opportunity cost of rejection, it just makes sense to maximize your chance of acceptance at the best MBA program for you by having an MBA admission expert at your side as you apply. The MBA application process is not simple. It’s long and hard, and it can be quite stressful. Let us guide you through it, helping you to maximize your application by emphasizing your most impressive achievements, skills and qualities. The result: Acceptance at a top MBA program and all the professional and financial benefits it provides. With over 20 years in admissions consulting and thousands of MBA clients whom we have guided to acceptance, we know what it takes to achieve top-tier application success: acceptance at your dream MBA program. In a successful business, strategy is key. In the MBA admission process, it’s the same. Become the master chess player of your academic and business future with our help. Strategize. Write well. Stand out. Get accepted. Choose Accepted and get matched with your own personal mentor, handpicked specifically for you from our team of uncommonly talented professionals, including former admissions directors, published authors, and PhDs. How Can Accepted Admissions Consultants Help With Your MBA Application? Our MBA application consultants provide targeted, specific and personalized assistance to help you approach your application with confidence. With experience in the Ivy Leagues and other elite, international, academic business schools, our consultants’ backgrounds and expertise speak for themselves. More importantly, that experience will help you passionately and persuasively speak for you. When you work with an Accepted MBA application consultant, you will work individually with one seasoned admissions expert carefully selected to meet your needs and backed by a team of colleagues who have guided applicants to acceptance at 148 schools and with over 160 years of collective higher education experience. To get accepted, you need more than just skill and intuition, more than stats and work experience. As we said above, you need a strategic plan and excellent execution. Our consultants support you through every step of the application process. We can provide guidance as you develop that strategy plus feedback and editing of your resume and essays so that they attract your target school’s immediate interest. Later, our MBA interview advice and mock interviews will help you sustain that interest and transform it into an acceptance. And if you come to us after having already been rejected, no worries, we are on your team too - equipping you with the tools necessary to beat those rejection blues and reapply successfully. 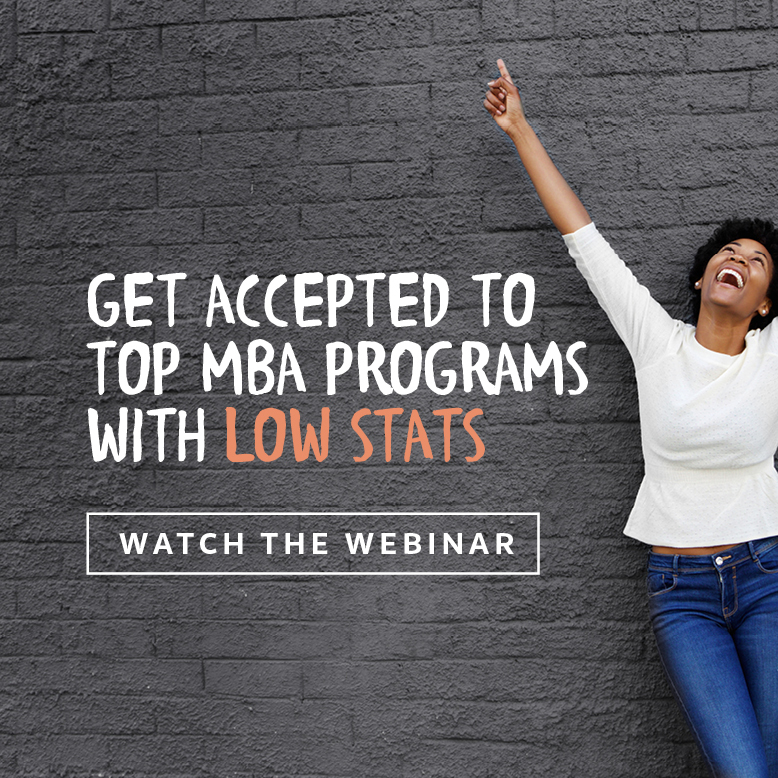 Get Accepted to Top MBA Programs with Low Stats — Free webinar! In one hour, learn how to assess your profile, understand the role of your GPA and GMAT score in MBA admissions, mitigate weaknesses (and emphasize strengths), and create a successful application strategy. Watch now! 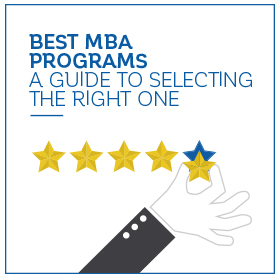 Learn how to select the best b-schools for you: not just the ones that look good on a resume, but the ones that will help you reach your professional goals. Download your free guide! 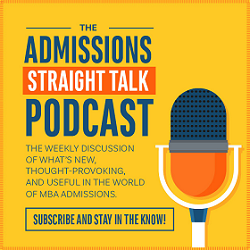 Subscribe to Admissions Straight Talk, our weekly podcast on what’s new, thought-provoking, and useful in the world of graduate school admissions. Listen today! 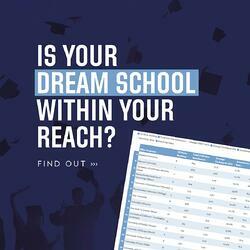 Try Our New B-School Selectivity Index!